Last Halloween, my best friend, Carly Jordan, had an idea: what if we turned all the time we spent analyzing every little thing about albums for fun and turn it into a podcast? Every other week, we’d discuss a different album and share our unconventional love of older music; we’d try to bridge a generation gap; we’d try to carry the torch. After a few months of questioning if it was an appropriate time to release a music podcast, it’s here. In the coming months you’ll hear us talk about a variety of albums, from Betty Davis to Talking Heads to Big Star. But to start, we kicked off with our favorite (obviously) — this little known nugget from Stevie Nicks and Lindsey Buckingham from their days before Fleetwood Mac — because how could we not? Sneak a peak of each post below and be sure to follow (details below) for more. Two years before joining Fleetwood Mac, Stevie Nicks and Lindsey Buckingham had no idea what lay ahead of them. They were just two kids who wanted to make great music — and they just happened to be in love. A cult favorite of Fleetwood Mac fans, this album is curiously still only available on vinyl. While bootlegs of the album can be streamed on YouTube, it has never been (officially) released on cassette, CD, or to streaming services like Spotify. This is perhaps part of the attraction to the album — this is music that doesn’t outright present itself; it must be found. In this episode, we discuss why we both call this album our favorite of all time, what makes it unique, and why it still takes our breath away hundreds of listens later. Of course, I had known of the album, but it seemed almost like a myth, with its cult-like vinyl-only status. For my father to just hand it over nonchalantly seemed almost too easy, almost unreal. Just holding it in my hands, looking at the cover — a young, beautiful couple not much older than me, with their long, flowing hair and naked bodies the epitome of the free-spirited Laurel Canyon era California I had become obsessed with as a child — I immediately fell in love. Read the rest at bed crumbs. I wrote about my favorite album for That Eric Alper’s feature about the music and entertainment industry’s most loved albums. 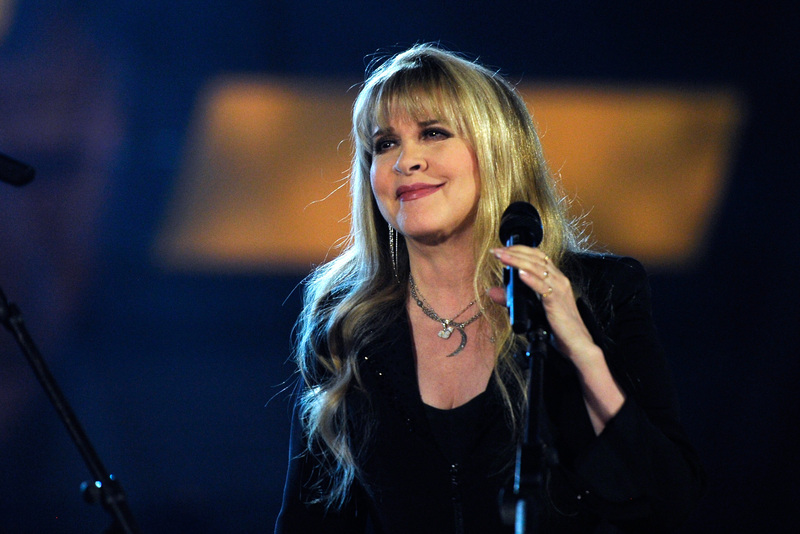 Rock and roll icon Stevie Nicks is having a millennial moment. Most of her discography may have been made before any millennials were born, but there’s no doubt that we’re witnessing a Stevie Nicks pop culture renaissance. The past year has been busy for Nicks: she’s appeared on the cover of Rolling Stone for the first time in 30 years, popped up as a guest mentor on The Voice, released a new record, and reunited with Fleetwood Mac forone of 2014’s highest grossing tours. Not to mention the fact that it’s hard to walk into an Urban Outfitters without seeing her face, whether on a Fleetwood Mac record or a new biography. Ask your mom who Stevie Nicks is, and she might fill you in on the heyday of rock and roll decadence, her signature twirls, and famous love affairs. (My mom likes to dreamily recount the days of her youth, when she dressed like Nicks in flowing black chiffon and platform boots.) But Nicks is not just an influence for your parents’ generation. If you’re a millennial woman looking for advice on life, love, work, and everything in between, look no further. Here are eight reasons why Nicks might just be your new (to you, anyway) rock and roll heroine. Read the rest at Bustle.